With the objective of tackling the overgrowing Chinese presence in the Indian Ocean Region (IOR), the Indian government has devised an ambitious plan. The centre has given initial approvals for construction of 56 new warships and six submarines for the Indian Navy over the next decade reports Times of India. In recent times, China has been seen expanding its presence in this region, seemingly to flex its muscles around India's waters. 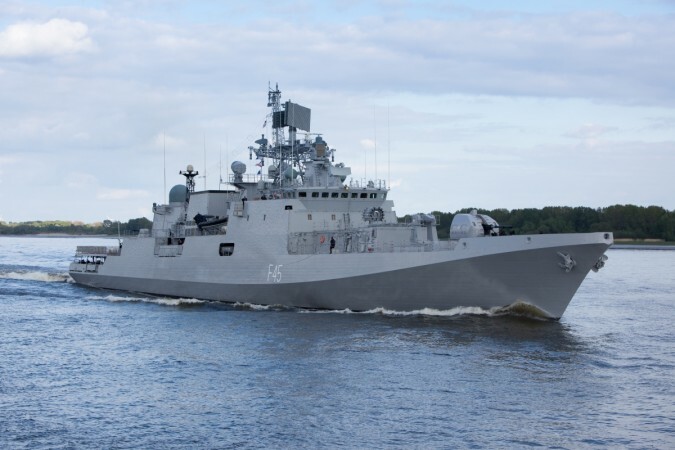 At present levels, the Indian Navy is operating with 40 warships and 220 aircraft, additionally, 32 warships are under construction in domestic shipyards that will end up costing a whopping Rs 1.26 lakh crore to replace its obsolete fleet and fill operational gaps. The plan seems ambitious but may face headwinds as the annual defence budget has not witnessed any comprehensive growth for the last five years. The government would have to increase the defence budget substantially to make sure that the Navy comes anywhere close to its original target of becoming a 212-warship and 458-aircraft force by 2027. Speaking at Navy day, Admiral Sunil Lanba said: "We have overwhelming superiority over Pakistan in all domains at sea. In the case of China, with the forces it can currently bring to bear in the IOR, the balance of power is in our favour. Similarly, of course, the balance of power in the South China Sea will be in China's favour." Further underlining India's role in the IOR region as a net security provider he added that "The entire world's attention is focused on IOR, where our Navy is increasingly seen as a net security provider. Our maritime security strategy is aimed at providing a maritime environment that is free from all forms of traditional and non-traditional threats to our national development." China is encircling India under its "strings of pearls" strategy. Last year in August, it established its first overseas base in Djibouti—the Horn of Africa. On the other hand, to counter China, India signed military logistics pacts with the US and France to ensure a supply of logistics in the waters.